Are you loving your dog the wrong way? Most of us who have dogs, love dogs, that is a given, but there are so many ways that you can love a dog, and many of them are not going to help produce a stable, confident dog that knows how much he or she is loved. When I ask “are you loving your dog the wrong way“, most people would say no, but if your dog has behaviour problems, you better read on. Going back twenty or thirty years ago, dogs mostly lived outside, had limited access to their humans, because they were dogs / animals. Over the years dogs have become deeper and deeper entrenched in our lives, they live inside our homes, with our family members, as family members, which is not a bad thing in most cases. My own dogs live inside, they are part of our family, we love them and would do anything for them so I am certainly not going to tell you it is wrong, I am telling you that I love my dogs too! But I guess the details of “how we love our dogs” makes all the difference. There are many relationships that exist between two humans that are healthy, supportive, developing relationships, and relationships that can be anything from unhealthy, unsupportive to toxic. In many cases, there is no goal to be toxic or unhealthy, just the actions of the relationship partners create the toxicity, even if they don’t know it or mean it. Dogs of course are different to people, not very different but different enough for us to accept that they may need different relationships to thrive. Please first let me say this, 95% of the dogs that are supposed to be anxious are not in fact anxious. They sometimes are fearful, they sometimes are overstimulated, frustrated, stressed, over threshold or agitated but NOT anxious. For those that do not agree, how would you prove that your dog is anxious? You can’t ask them? There are no medical tests that will confirm or deny anxiety either, so it is opinion based and I can tell you that most opinions are based on emotion rather than fact. When I see hard staring dogs with erect tails that are leaning forward trying to get to another dog, that body language and posture does not spell anxiety. But, lets for a moment say that you do have an anxious dog. What is anxiety in a dog? Well it is when the dog anticipates something will happen that the dog does not want to happen and the dog has no control over it or their emotions. 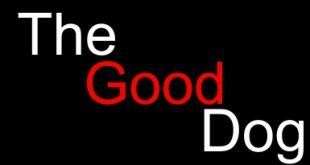 The cure – Most commonly the novice wants to sooth and coddle the dog, to make the dog feel better. This will very often see the dog feel worse as it appears by your body language, you are anxious too, and you may be! Others reach for medication and I feel that some dogs do benefit from medication, just nowhere near as many as those receiving it. When I work with people who have an assistance dog for example, they may be on some medication to help them with depression or anxiety. Very commonly they have been through a number of different medications until they found the right one for them. They gave feedback to their Doctor on side effects and feelings and this enabled the Doctor to change medications until the correct one was found or medication ceased. This does not happen with dogs, the dogs are prescribed medication and the dosage is increased. I see many dogs that have the exact same problems as they did before, only they are medicated. What I believe helps is building a dogs confidence, this can be done many ways from teaching the dog target behaviours to helping them learn to deal with stress and impulse control issues. The treatment I use to set goals for the dogs and help them achieve them, this is how I treat anxiety. People have a dog that is overly playful, he or she means no harm but is very annoying to be around as he or she jumps all over people and their dogs, but because he or she “means no harm” or is “just friendly“, it is ok right? No of course it is not! People accept this behaviour, laugh at it, allow it and their dog does as she or he pleases. When they try and stop their dog from accessing another dog, their dog screams, spins, lunges on the leash and fights any attempt to be stopped. Play for a dog is rewarding, so I want my dogs to play with me. I find that, rather than my dogs trying to guess when I will play with them, they are much happier knowing what behaviours are best at what times. When we are going to play I give them a verbal signal, when we are going to do something else I guide them into that, more calm behaviour, more suitable behaviour. These are known as rules and boundaries. Most people allow their dog to do as he or she pleases until the straw that breaks the camel’s back falls, and they get angry and punish the dog. I prefer to give the dog advice on how they should behave, rather than criticize how they behaved. How do you think a dog feels when he or she displays a behaviour all the time and you get angry with the dog every 43rd time? Most don’t know or say “not be aggressive“. Not being aggressive is not a behaviour, you can only reinforce behaviours that exist, not ones that don’t exist. 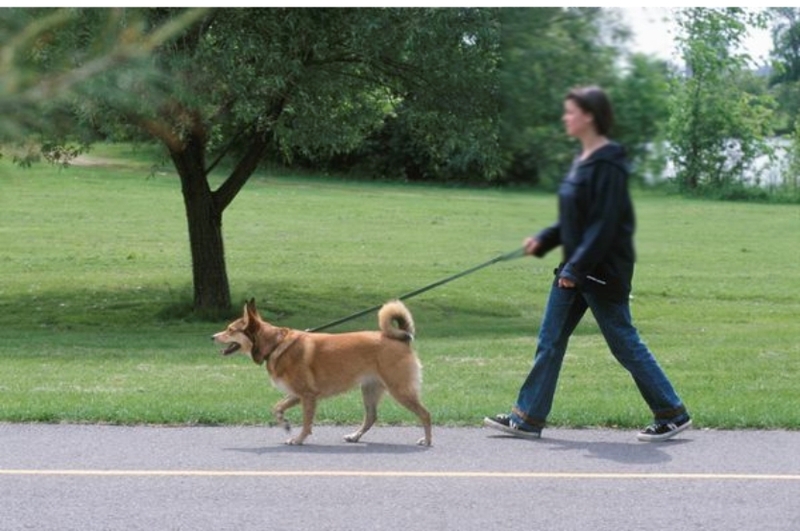 Many people attach a leash to their dog and off they go for a walk, there are no guidelines as they are pulled down the road by a zigzagging sniffing dog that marks trees and poles, that see’s another person or dog and scrambles against the leash pressure to try and get to them, against the other person or dogs wishes. I am often told that this is the dogs free time so no rules needed. Well, how much freedom does the dog have when he or she is choking himself pulling into the collar, when he or she is held back amidst a wave of frustration when they try and access something you want to walk by? I am guessing it is not as pleasant as you might think, for you or the dog. I meet people who don’t walk their dog anymore because of shoulder pain and injury, I have met dogs with neck stiffness and pain due to pulling into halters and other anti pull devices. I meet a lot of people who walk their dog at 4am or midnight to avoid other dogs and people because their dogs cannot be controlled around people and dogs. Let’s look at this another way, some people may say that driving to the country side is a rewarding outing for them. So does that mean as they are out for enjoyment they can travel at any speed they like? Drive on any side of the road they like? Road rules don’t matter? Of course not, but does that ruin the drive? Well, actually that depends on your feelings of the road rules doesn’t it, but for safety’s sake, everybody who is allowed to use the road is given the same guidelines and when followed, there are fewer problems than what they are not followed. Do you know that 99% of all dogs I treat for aggression are leash pullers? 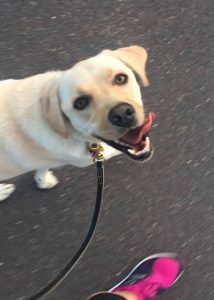 Teaching your dog to walk correctly on the leash forms a relationship event you can share with your dog, it opens up many more opportunities where dogs are welcomed. Many dogs display behaviour problems in the home, things such as territorial guarding, resource guarding items of furniture, food, toys or clothing. In reality these items do not belong to the dog, but the dog thinks they do. This can make the dog stressed when they think someone will take these items that [don’t] belong to the dog. If you have a dog that barks when someone knocks at the door, and like the fact that you have a dog that warns people not to try anything untoward, the barking is a useful, helpful behaviour. But can you stop this behaviour? Will your dog call off? Will your dog stop barking if you ask him or her to? If you tell your dog it’s ok, will they be happy to let the person in? If not you have a problem. Does your dog have a place of his or her own, a place where people will not sit, or interfere with the dog when he or she is resting, sick, tired or stressed? We supply our dogs with a dog crate of their own, this is a place where they can go any time they want some space, rest or protection from something or someone who has entered the home. A dog crate is also a great place to manage your dog to be when you are not around or not in a position to help the dog make good choices. A dog that has free roam of the whole home can end up displaying a behaviour you don’t like, and then of course your dog may be told he or she cannot do this with a stern “no”. Crating reduces these opportunities and reduces the opportunities to tell your dog off, because the crate behaviour is in place of do whatever you like until I don’t like it. Can you give your dog a bone and leave the room, come back 2 minutes later and touch that bone? Or does your dog try to stop you touching the bone by gulping at the bone, hiding it, freezing over it, growling or becoming aggressive? If your dog has any sign of discomfort around food when you approach, you at least need some management of the feeding routine. If you just avoid your dog at this time, someone may come near your dog when food is in play and get badly bitten. Dogs that resource guard food are often anxious, and running some behaviour modification can help your dog relax. Feeding happens every day so it can be a major problem in yours dogs life. 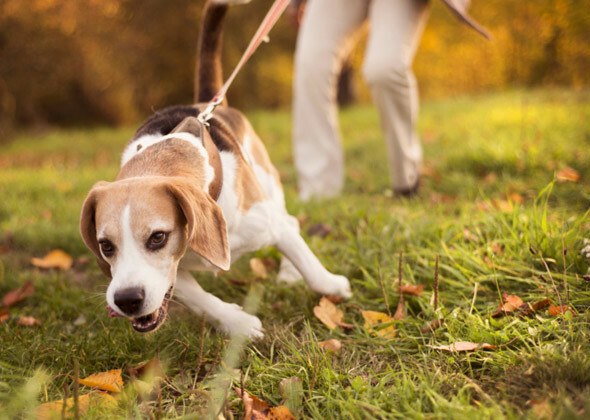 This stress can accumulate and your dog may lash out at some point. Many people have their dog have free access to the whole house, coming and going as they please, they cohabitate with their dog and all things are equal. When the dog is on the bed or lounge, can you approach your dog and grab the dogs collar and pull him or her off the lounge? If not there is a problem. 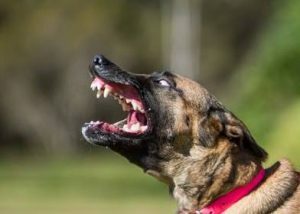 If your dog has expectations of territory and will defend those if someone tries to take them, what if your dog just growls when you try and move him or her, and would not bite? Have you considered what would happen if a person, maybe a child came to your home and tried to move your dog? Often people say they don’t care and strangers are not as important as their dogs, fair enough perhaps but the problem is not whether you value these people more than your dog, it is that your dog feels like he or she owns the lounge, and yes, that is a problem. And when they bite a person or child, then your dog is in deep trouble. I give my dogs a place bed to lay on, I set rules and boundaries of that bed, I reinforce those and my dogs love their beds. Some dogs are very possessive of their toys, and I have met people that say “why shouldn’t they be“. But if you had a child that would not share anything would you be ok with that? My guess is no, and consider that children often don’t bite people when they grow up. All of my dogs have high prey drive, so toys are highly valuable to them, but all of my dogs will give a toy up the instant I say to. Why? because “out” means I will play with you again. My dogs do not reward off toy possession, they reward from engagement with me and we may use toys. This means they do not guard or want to guard the toys, it means if they get a toy they bring the toy to me so I will play with them. If my dogs picked up a sock in my house, which they wouldn’t but if they did they would out it or they would bring it to me, so there is no chasing the dog around the home finally trapping the dog and the dog becoming aggressive when it loses the sock. Well number 1, they don’t run around the home free to pick up socks. Number 2, they value engagement with me and if they brought me a sock I would not play, so they have no value for socks. Number 3, if they had a sock in their mouths, the out command means out and I will reward with more play, so they out. Number 4, they know the most effective ways to engage me are not stealing socks. So we don’t have these issues, teaching the correct behaviours avoids dogs displaying incorrect ones. I believe that loving your dog means doing what is best for him or her long term. This may mean that short term, there are some losses, consequences, rules, boundaries and a lot of direction and reinforcement. Moulding your dog into a dog that fits into your life means that more opportunities exists for you and your dog. We can take our dogs to cafe’s, parks, beaches, camp sites, schools and not worry that they will display anti social, aggressive – dangerous behaviours or annoy the crap out of everyone. One of the biggest DAILY complaints the Australian population have with people and their dogs is being accosted by the dog and being told “he’s friendly’. The dog pulls up to you or your dog, or worse is off leash and bolts towards you and or your dog and the owner has zero control and zero care. These people I am sure, love their dogs, but they are raising an over indulged, rude, mannerless, disrespectful dog that very few people or dogs like. Their desire to make their dog happy surpasses everyone else’s wishes and rights all because that is what their dog wants or likes. When you take your dog to the dog park and he or she does whatever they like but will not come when called during play? 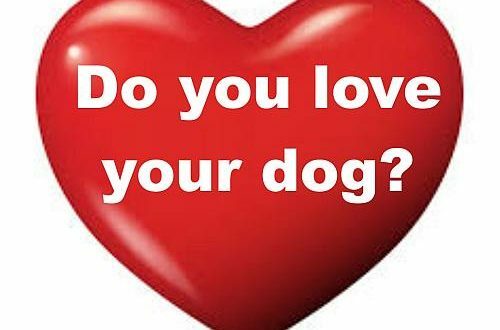 Do you think your dog respects you? If you saw a video of your dog walking down the street with you, would it look like the dog is enjoying a walk with a person they like or pulling like crazy on the leash to get away from you? When someone comes to your home and your dog becomes excited or aggressive, will your dog listen to you and follow your guidance? Or ignore you and try and do whatever he or she feels like doing? We can write off all these things as not important I guess, but deep down they contribute to dog behaviour problems, dogs biting people, killing children, running onto roads and being killed, running up to people and getting yelled at, fighting with other dogs and the list goes on. Very few, if anyone wants to have dog problems. Sometimes people, struggle to identify what is a problem and what is not. Sometimes it is better to ask what would the ideal / appropriate behaviour be, then teach and train that. 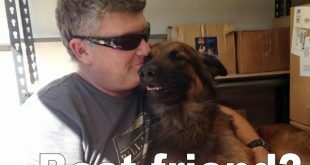 Get help and love your dog the right way by giving your dog the education that will give your dog a happy life that he or she can move through without problems. Set your dog rules and boundaries, which actually means that your setting up behaviours that will help the dog earn and receive rewards and avoid unwanted behaviours. 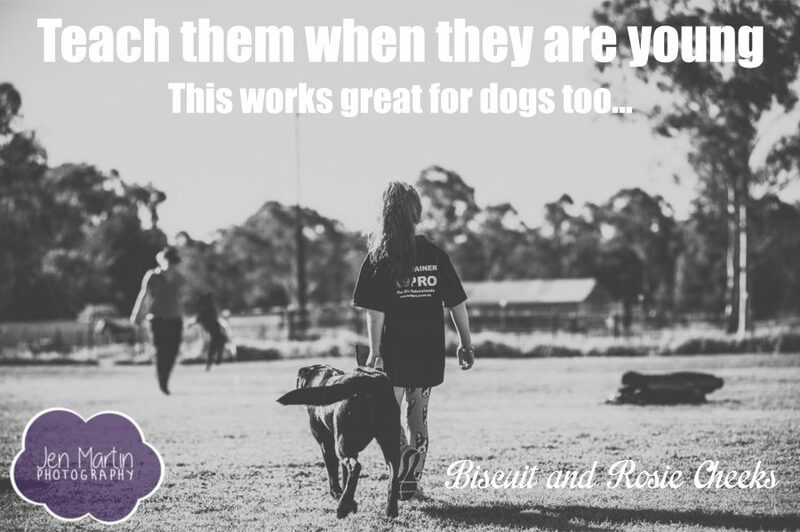 I am an advocate for dogs, your dog needs your help to understand the right way to behave so that he or she can live a full unrestricted life as your dog. Loving your dog the RIGHT way means helping them live in this world without the need to lash out, force attention from people or dogs, scream through frustration related restrictions because they simply have been allowed to generate totally unrealistic expectations by their owners. Previous Why are children being killed by dogs? 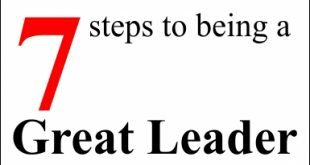 I believe that obedience training is the best advice to avoid ALL of the above problems. It should be compulsory in owning a dog.